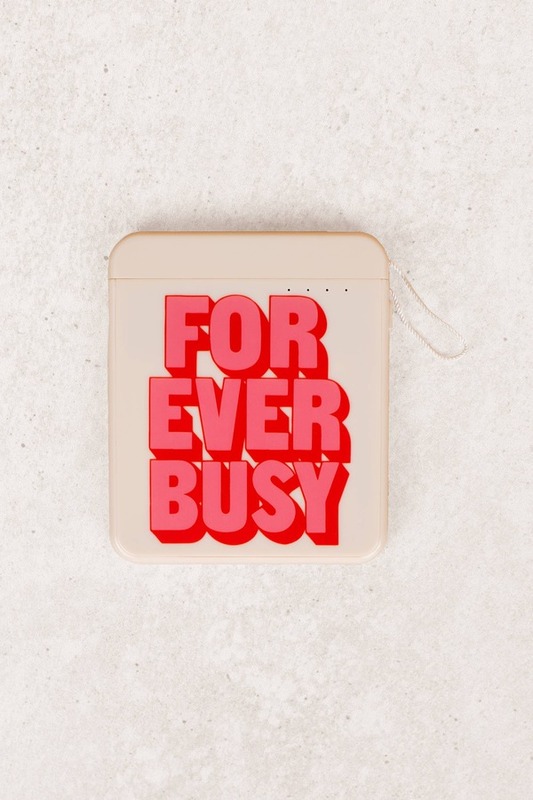 Check out Tobi's Forever Busy Portable Charger We get it: you're at it non-stop. 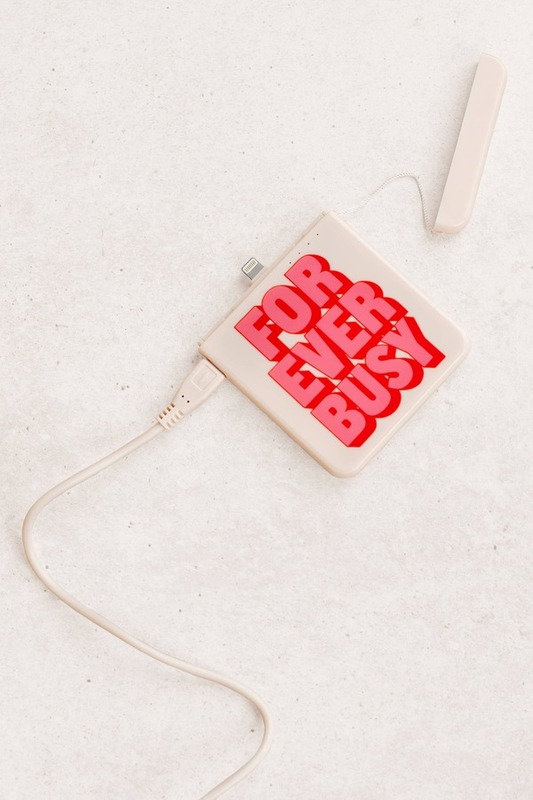 Keep BAN.DO's Forever Busy Pink Portable Charger as a back up whenever you're out and about, 'cause with all those Instagram stories, you're bound to lose some power. This slim portable iPhone charger features bold pink and red writing, nylon cord, and a protective lid to keep it all together. Never lose power with this cute mobile charger, thin enough to take with you everywhere. We get it: you're at it non-stop. 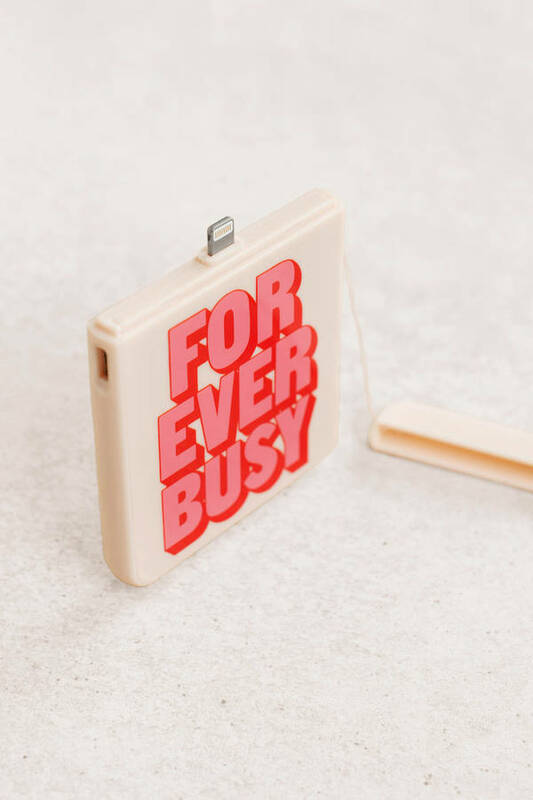 Keep BAN.DO's Forever Busy Pink Portable Charger as a back up whenever you're out and about, 'cause with all those Instagram stories, you're bound to lose some power. This slim portable iPhone charger features bold pink and red writing, nylon cord, and a protective lid to keep it all together. Never lose power with this cute mobile charger, thin enough to take with you everywhere.